Summary of the Live Telegram AMA held in the dbcrypto community Telegram chat on 11 December 2018. This afternoon we were joined by the team from Fantom for another live Telegram AMA. Joining the conversation from Fantom’s team was Michael Kong — CIO, Jake Choi — CMO and Michael Chen — Public Relations Manager. Fantom aims to be the world’s first Directed Acyclic Graph (DAG) based smart contract platform that solves the issues of scalability and confirmation time. Part of the motivation behind this project is to provide a solution for secure and fast transactions through an open-source and permissionless system. Will staking be available in the United States? The network is permissionless, so that would be yes. Guys I want to mention that staking details will be coming out quite soon, in a couple weeks potentially as Michael Kong has said. We’re still working out the details so we don’t want to spread any misinformation here. I’d suggest we await the definitive information, lets stay excited till then! 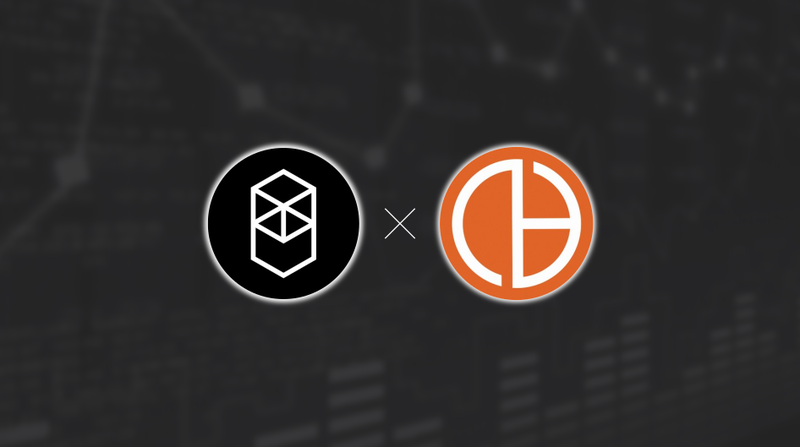 Can you talk a little bit about how Fantom’s recent partnerships will have an impact on the token value when it is implemented into each respective business? We focus heavily on real partnerships and joint ventures. We are closely tied with number of companies where Fantom provides technological service and solutions to its partners. Specifically focusing on Korean firms, as a starter, we will pursue to provide mainnet solution to those companies. Partnerships allow our foundation to be strong and sustainable and will allow us to grow our ecosystem. As token value is derived from the growth rate of the network, we expect strong and real partnerships will provide a long term growth of our network. Will Ahn Byung Ik leverage his role/relationship with the for partnership/implementation of Fantom with the associated organizations inside the KFTA? He already is. Food Tech is an industry which we are closest to, allowing us to tap into retail stores in Korea with ease. 1. Fantom is DAG. Will we have a dual token system for staking? 3 . What global community actions will approach Fantom? 4 . Did Fantom sell out all the ETH raised in the ICO? 5 . André Cronje is one of the most important code analysts of the moment. What is his level of involvement in Fantom? 6 . Will there be some kind of voting systems to determine the future of the foundation? 7 . Recently Boscoin presented an audit of the hand of Ernest and Young, setting expenditures and treasury from the ICO. Does Fantom plan to present these kinds of accounts? 8 . Fantom has started with a series of interesting agreements with universities (Sydney, Stellenbosch) what is Fantom’s plan in the academic environment? 9 . Are you studying any system to carry out anonymous transactions? Or set up private graphs, how does LTO Network do? 10 . Why would Fantom be better than Hashgraph? How would Fantom be used in those businesses (associated with the Korea Food Tech Association)? We are starting with Fantom Pay, a payment method which allows cryptocurrencies to be used in real life in retail stores. Fantom is expected to be the first token to be used in the network. Anyone who has Fantom (FTM) will be able to pay for food and groceries at selected stores in Korea. Can you stake Fantom with mobile wallet or desktop wallet? Yes. We have tested and currently you can run an event block producing node on an android device. This is pending to be announced. But yes, we are considering all options for our community’s benefit. Do you have a long client list already? We have demand for a testnet and mainnet. Fantom had a highly popular ICO this year. Obviously the market is down, and soon to be coming around. Can you talk about the sentiment in South Korea for crypto — especially Fantom — and how people value projects that serve a real life application? Fantom is branded as one of the few infrastructure projects developed and based in Korea. It is true that crptocurrency sentiment in Korea has gone down to a certain extent, but government projects and conglomerate companies are approaching us to adopt our tech to solve their problems. Our focus is real business, real problems and real solutions. Am I correct in saying that Fantom is like ICON, as you are also trying to build an ecosystem, except Fantom’s goal is to achieve this using a DAG? Correct to a certain extent, but please compare their speed with ours. We are building a permissionless, decentralized PoS system. Heard in the chat before that Fantom sold the ETH raised in the ICO for USD. Can you confirm this, and that you guys are solid on funds moving forward? We have enough funds to move ahead with the development of our product. We have enough funds to continue development. Yes, we have sold out of our ETH positions in time, and we have sufficient budget to move forward. As it is crypto-winter, we are careful in our spendings. Guys I heard 20,000 transactions per second was reached with Fantom? Tens of thousands with a time to finality of approximately 700ms. I can see that Eddie Travia is an advisor. He is also an advisor for ICON. Do you guys ever collaborate with ICON, or other top Korean crypto startups, for insight, guidance, counsel, or introductions? I’m not sure about ICON specifically, but we do have some close contacts in Korea that we’re very good with! We have many advisors at micro and macro level. We do interact with ICON as a friendly project based in Korea that happens to share similar vision. That would be awesome, do you have someone who we can get in touch with? I hear Korea is mainly a cashless society. At what level will Fantom Pay be implemented for retail/commerce transactions and what are the biggest challenges in doing so? Are there already established players with market dominance in consumer payments? Banking and regulations are the greatest challenges we face. We still need the regulators to catch up to us. But we certainly have the right team to make this happen. From what I can see, we are trying to build Korea’s first crypto-wallet and payment system. Of course. And the answer is yes we have and we still are. Can you describe Ran Neu Neur’s role as advisor? I can’t comment on his activities outside of Fantom, but he’s been very supportive throughout our ICO process and after ICO as well. He provides introductory support and marketing support. Will Fantom be working closely with any K-pop bands for marketing? In fact, we are closely working with an eSports team. We believe gamers will understand Fantom better than K-pop fans. Alright guys! We’re really thankful to this community for having us. @jake_dch @mkong888 and I will be back in the future for more community engagement. Cheers friends! Please note that some questions and or answers may have been edited to account for grammatical errors and appropriate presentation. This summary does not include all questions asked and answered during the event.